The use of zinc has recently become popular in design trends and has only recently been catapulted in popularity by retail giants like Restoration Hardware and Pottery Barn. It’s also a mainstay in Europe and can be seen in a wide array of modalities such as roofs, bars, tables, counter tops. Like copper, zinc is a reactive or “living” metal that will patina and age over time. As it patinas, the zinc will dull first and then transition into a lovely grey finish. 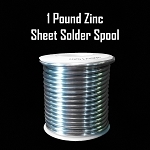 Here at Zip Metals, we stock a variety of zinc that will fit all your needs. Whether you're a do-it-yourself fabricator or an experienced one, we have the right sheet for your project. In addition, we have added a new feature when it comes to buying Zinc Sheets, all Zinc Sheets are now sold by the linear foot. You will find a price per linear foot in each product description. When you purchase your Zinc, just add the number feet you need. If you need multiple sheets, add the total number of feet to purchase and enter the number of sheets and their length in the notes. 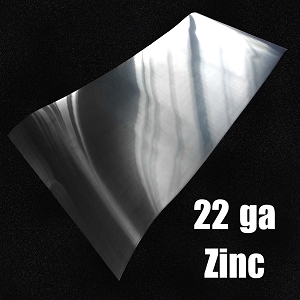 Our zinc sheets work for most if not all applications. That said, thickness is usually dictated by the fabricator. Typically, a professional fabricator uses thicker zinc sheets while the do-it-yourself fabricator uses thinner. 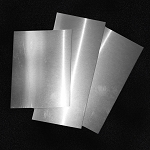 For fabrication that requires multiple solder joints, we recommend using a thicker sheet. -Outdoor tables and bar tops. You will need a business address with a forklift or loading dock in order to receive this large and heavy crate or you can pick it up at the Freight terminal closest to you. Sanitary: Zinc is a great metal that naturally resists mold, mildew and even bacteria. It is often used in professional kitchens due to this naturally occurring effect. Malleable: Yes, zinc can be bent. It can also be hammered, texturized, creased, folded, etc...to provide you the “look” you desire. Because zinc is such a soft metal the possibilities are endless. Versatile: Whether it be for kitchens, dining rooms, or roofing, the versatility of zinc is limitless. It seems like we are constantly hearing of new applications and uses. Architects and designers continually push the envelope of design and zinc is reaching new heights....Literally! 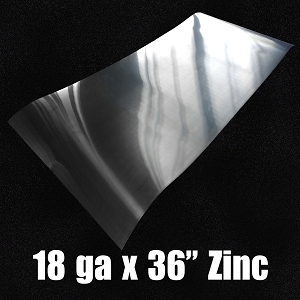 Our zinc sheets are 99.9+% pure!! Through and through our zinc sheets are the “real” thing. They are not galvanized nor coated. The difference in the two materials is simple, one is coated in zinc the other is zinc thats been rolled out into sheet form. Galvanized sheets usually have a tendency to chip or flake thus exposing bare metal that can rust or be harmful to you and your family. Cost: For the typical do-it-yourself fabricator, zinc is not any more expensive than other materials. In some cases it may end up costing less...even with shipping! Patinas: You can “personalize” your zinc by applying agents that will artificially age your zinc rather than waiting for a natural patina to form. Whether you choose to artificially age your sheet or let it happen naturally over time, your sheet will start out looking like brushed nickel and over time or artificially, age yielding you an effect that will make your family and friends jealous. Compatibility: Zinc is compatible with lead, aluminum, galvanized steel and even stainless steel. So if you were wondering if you could install a stainless steel sink with your new zinc counters, its ok, you can do it. Scratches: Regardless of how badly you try to avoid it, your zinc will scratch at some point. The same properties that make zinc so easy to install are also the same properties that make it susceptible to scratches and surface marks. Heat: The best way to avoid heat related issues is to use a trivet or something to protect the zinc from “right off the burner” hot pots and pans. Unwanted marks can appear when the zinc is exposed to such extremes for a prolonged period of time. Installation: Though we do not consider this a “negative”, zinc can be a little finicky to install. The absolute best way to install zinc is to adhere it to a substrate. 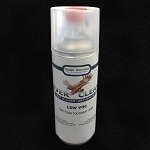 Applying equal weight over the sheet and allowing ample time to cure will result in a smooth, professional looking finish. Seams are usually soldered but can be “enhanced” with galvanized nails or rivets to add to the architectural beauty of the surface. We love zinc, we know you will too. Caring for it is no different than caring for any other piece of furniture in your home. There are however some unique properties of zinc that are not usually found in most homes. Zinc has what we call a “living” finish that over time tends to change color ( bright or natural to dull grey). It also will change when exposed to acids, oils, fingerprints, foods and beverages. This “color change” is an inherent characteristic that will bring its old world/ lived in charm alive. 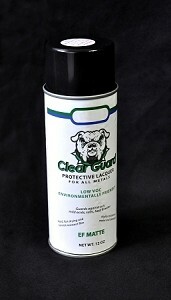 Minor marks and scratches however can be rubbed out in most cases with 0000 steel wool or a 3m scotchbright pad. Deeper scratching and permanent marks are most likely to come out by utilizing a fine grit (220 Grit) sand paper followed by the steel wool or scotchbright pad. Using different grit sand paper can yield different effects on zinc. Even finer grit sandpaper can yield glossy or even mirrored finishes while heavy grit can yield a rich patterned look. Most, if not all sanding is best completed by utilizing an orbital sander. 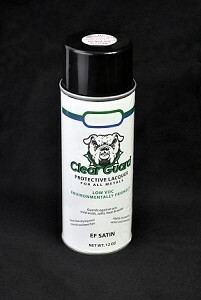 Our average zinc owner uses some kind of sealer to protect the zinc, this is more of a personal choice as sealing the zinc stops the patina process all together. We are more than happy to discuss the variety of options available to you. Please do not hesitate to call us with any questions you may have.